John Dobson was born and grew up in the United Kingdom. In 1979 he graduated with a Bachelors degree in economics from Lancaster University, in the UK. He then came to the US to attend graduate school in the College of Business at the University of South Carolina, from where he attained a Masters degree in economics in 1982 and a Ph.D. in financial economics in 1988. 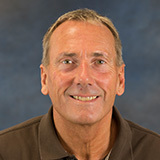 After teaching as an adjunct lecturer for one year at the University of Minnesota, Duluth, Dobson accepted a permanent faculty position in the finance department of the University of Mississippi in 1989. He joined the finance faculty here in the Orfalea College of Business at Cal Poly in the fall of 1990. Since receiving his Ph.D., Dobson has published two books and over fifty scholarly articles. Most of these publications have explored the connections between the theories of financial economics and moral philosophy. This exploration has centered primarily on the behavioral assumptions that underlie financial-economic theory. These assumptions traditionally depict human behavior in a relatively narrow conceptualization of opportunistic self interest. Dobson explores the extent to which such assumptions are either descriptively accurate or prescriptively desirable. His research explores ways in which these behavioral assumptions – that form the foundation of much of financial-economic theory – can be enhanced in order to make them both more descriptively accurate, and more prescriptively (i.e., ethically) desirable. More recently, Dobson has expanded his research focus to include, not just ethics theory, but also aesthetics theory. Specifically, he is investigating the extent to which the traditional theories of the firm in financial economics can be integrated with recent postructural invocations of business activity as essentially as aesthetic pursuit. This research builds on a growing body of literature that endeavors to overcome the ontological barriers that have traditionally separated economic notions of human activity from moral and aesthetic notions. In addition to various research projects relating to behavioral finance and financial ethics, Dobson is currently working on a book that attempts to integrate economic theories of the firm with broader notions of the nature and purpose of business activity. These broader notions are derived from the now extensive body of literature on business ethics (particularly virtue ethics theory); and from postructural social theory as it relates to conceptualizing human activity – whether in business or elsewhere – as fundamentally an aesthetic pursuit. The business organization is thus rendered as simultaneously and economic entity, a moral entity, and a work of art.